The Taliban militants group in Afghanistan touted the group’s role as trouble shooters, bridge builders and problem solvers in a bid to ally the North Atlantic Treaty Organization’s concerns. Taliban following a statement released ahead of the NATO summit in Wales, claimed that the group is the true representative of the Afghan people. The statement further added that the group can play a central role in resolving the ongoing crisis of Afghanistan. “The Islamic Emirate has arisen out of this nation and shared in all its toils and sacrifices. Due to this the Afghan nation has firm belief in the Islamic Emirate,” the statement by Taliban said. Taliban called for an end of foeign military occuption in a bid to end the crisis in Afghanistan and inisted that complete withdrawal of foreign forces is the only successful solution. 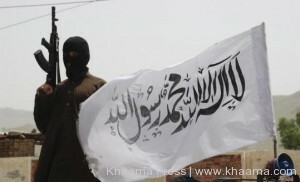 The statement released by Taliban also added that the Afghan people could be united under an “Afghan inclusive” system. Taliban militants group has always adopted a tough stance against the foreign military alliance and has been fighting agianst the NATO forces since the US-led invasion in late 2001. The group has so far refused to join the Afghan peace process, insisting that the NATO forces should fully withdraw from Afghanistan before they sit in for peace talks. Just for the info, the advance of Taliban in Kaunduz is help by the marginalization, suppressing and killing of ethnic Pashtuns by Jamiati warlord commanders such as Mir Alamand his cronies such as Qadirak (now in hell), Nadirak et al. These scums have made the life difficult for Pashtuns to the point that now Taliban are welcome.